Be a member of the medical team! If you want to help people in a medical setting, the Health Science Technology (HST) program may be for you. Designed to prepare students for entry level career opportunities in the field of healthcare and health-related services, the program is designed for those students who seek entry level jobs in the health field, as well as those employed individuals wishing to broaden their skills for career enhancement. Graduates will possess marketable skills sets for direct care services, as well as the foundation needed to understand current healthcare delivery. 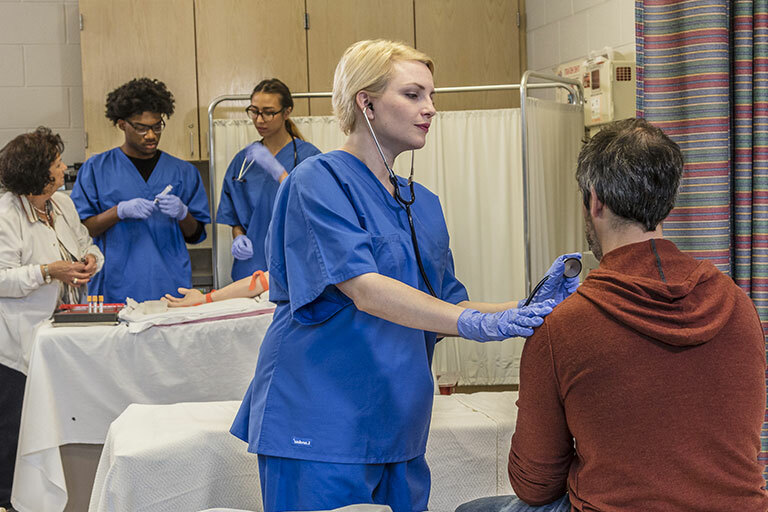 Many of the general and core HST courses are required for completion of varied professional health programs and could provide career pathways to an Allied Health selective admissions program. Complete an anatomy and physiology course (BIO 135 or the two semester sequence of BIO 137 and 139) with a grade of “C” or higher. Complete an approved math course (MAT 110 or MAT 150 or higher) with a grade of “C” or higher. Finish all program courses with a GPA of 2.0 or higher.